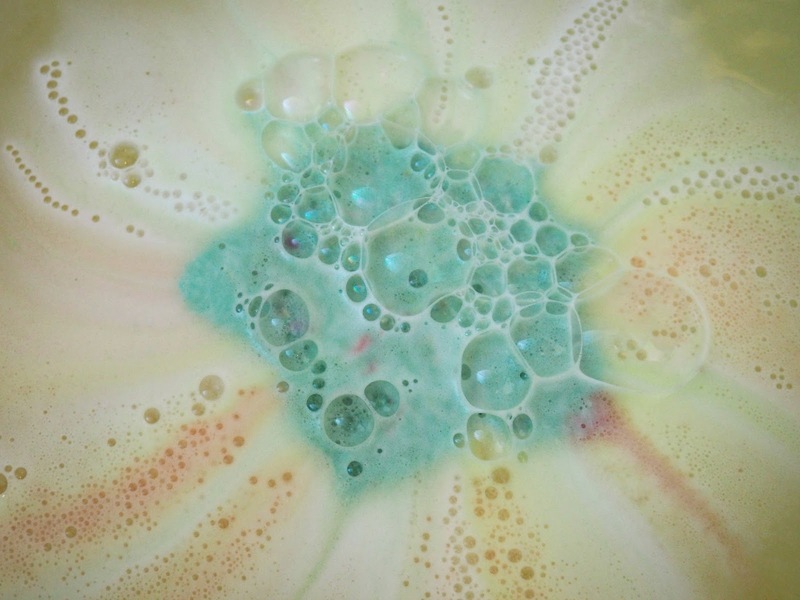 Every year LUSH brings out some new bath bombs to accompany their classics we know and love in their autumn Halloween collection. 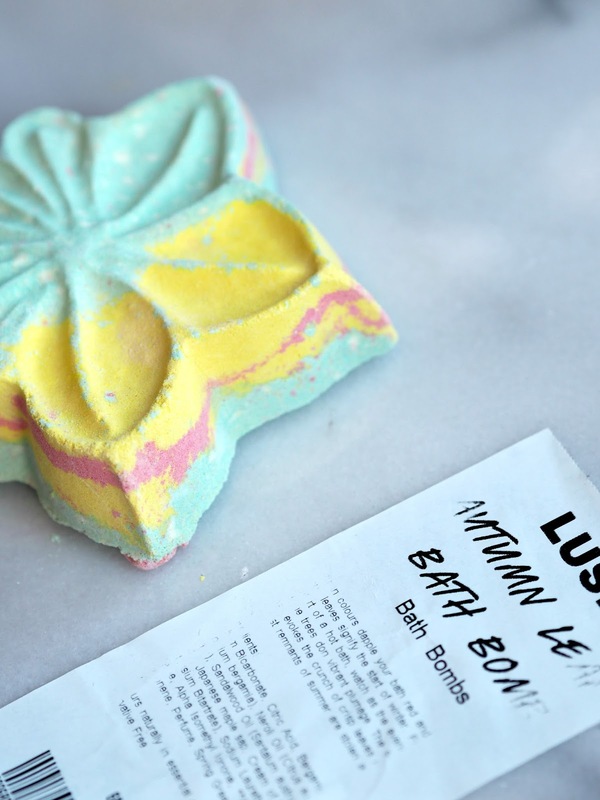 This year 'Autumn Leaf' really caught my eye, probably because I'm a sucker for colourful bath bombs! It has an earthy grass scent, which isn't usually my thing, but in this case I really liked it! It's not too overpowering which makes it relaxing and soothing. I like that they have brought out something a little bit different to the traditional autumnal scents! 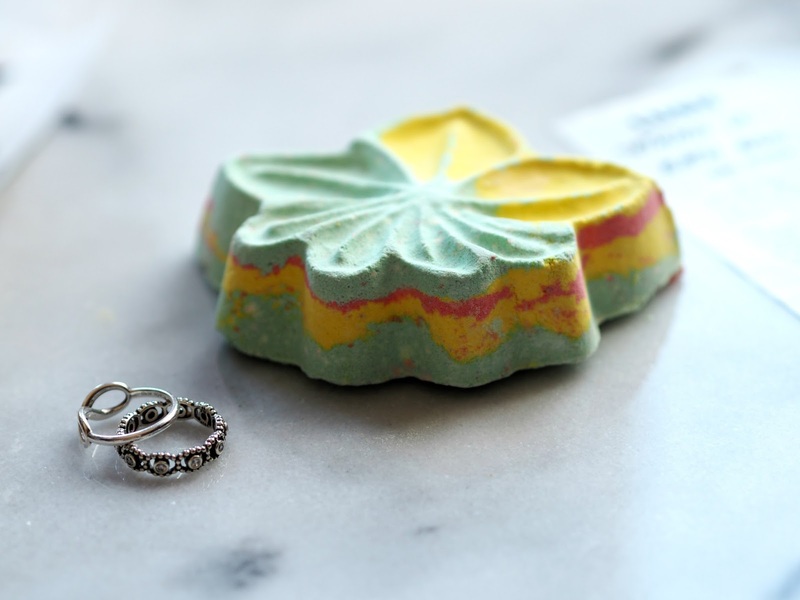 When you pop it in the bath it fizzes slowly which means it keeps its leafy form in the water. I'm not the biggest fan of yellow and would definitely prefer if it was more orange, but with that being said I think I will definitely be picking up another one! 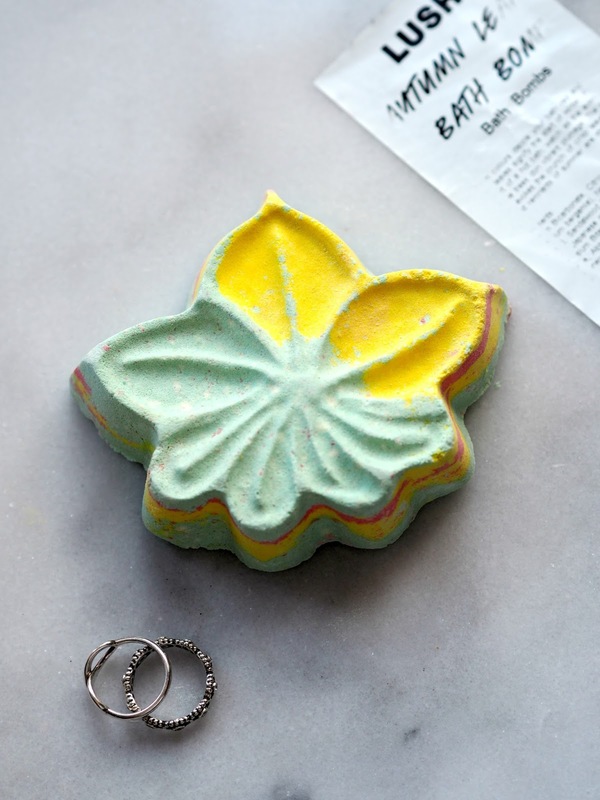 I'm majorly craving a massive LUSH haul now that this colder weather is creeping in! I love Lush! 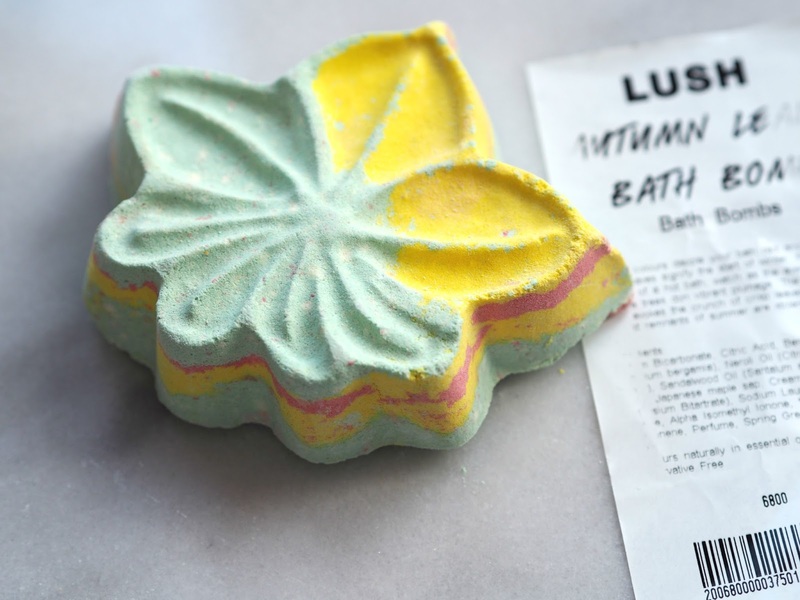 It's such a shame I don't have one nearby so I have to do my Lush buying online which makes it very tricky to determine smells, etc.